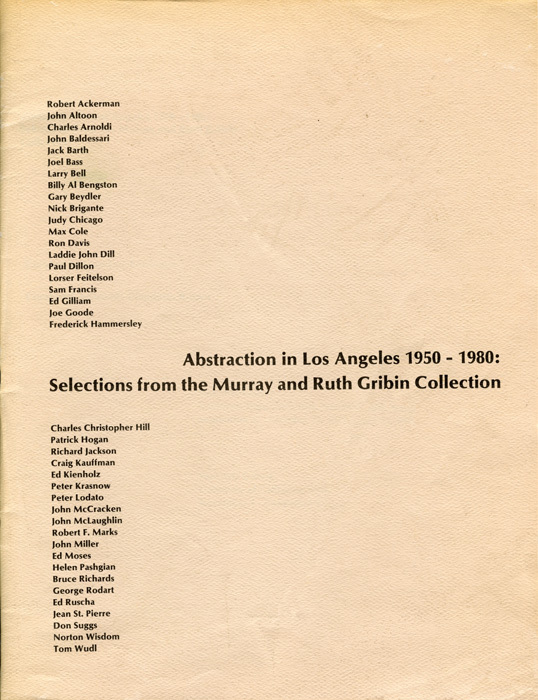 The exhibit Abstraction in Los Angeles consists of seventy abstract works from the Los Angeles area. The exhibit brings to attention the prominence of abstract art and highlights its diversity as well as its ability to evoke a multiplicity of experiences. The works have been taken from the collection of Murray and Ruth Gribin. Artwork displayed in this exhibit include the works of John Baldessari, John Miller, Helen Pashgian, and Ed Ruscha. Curated by Jean-Luc Bordeaux.